The road to Samantha Fish's Wild Heart Records winds along the Big Muddy through Baton Rouge, where young guitar players travel to learn from and experience the legacy left there by the likes of Buddy Guy, Kenny Neal, Tabby Thomas, Lightnin' Slim and so many others who fueled that vibrant blues scene going back decades into the last century. Eighteen years into century twenty-one, Baton Rouge born Jonathon Long (he's retired 'Boogie'-more on that later) has claimed his own share of that legacy. He has mined, refined and re-defined his beloved blues for over half of his 29 years. 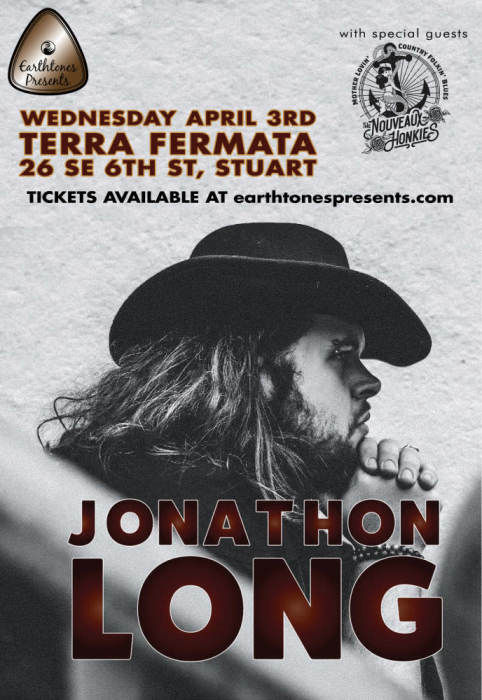 The shuffles and homages to the King's and Collins's, along with his mastery of the red Gibson, have evolved into what will certainly be a milestone in that legacy, his third album, titled simply 'Jonathon Long'. Recorded in post-Mardi Gras New Orleans earlier this year at NOLA Recording Studios, 'Jonathon Long', produced by 2018 Contemporary Female Blues Artist of the Year Samantha Fish, is an extra-ordinary collection of 11 songs, all written by Jonathon save for 'The River', written by Detroit's Kenny Tudrick, a Samantha Fish cohort and drummer for the Detroit Cobras. Long is joined on the record by bandmates Chris Roberts on bass and Jullian Civello on drums, giving it a 'live in the studio' sonic signature.